Interactive Fleet Management has further enhanced its fleet management services with the launch of a new ‘expert panel’ to help operators – including those who are not IFM clients – gain direct access to focused advice on key fleet issues. The new service, launched as the firm reports an increasing need from clients for professional advice as the complexity of operating a fleet grows, means that operators are only a phone call, email or LinkedIn message away from getting advice on crucial areas. This includes subjects such as compliance, CO2, taxation, legal, technical, policy, health and safety and many others. 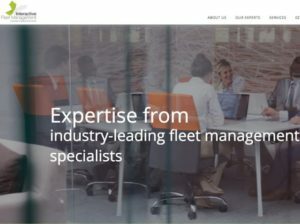 Interactive Fleet Management’s experts have been announced as part of the launch of the company’s new website, which offers a range of information and services to fleet operators large and small. “Our panel of experts is a great new addition to our overall proposition because customers can see who to talk to for the very best advice on a wide range of issues – and we are also very happy to speak to anyone who isn’t a client but needs some quick advice,” added Johnson.